The reviewer has been compensated in the form of a Best Buy Gift Card and/or received the product/service at a reduced price or for free. As always all opinions are 100% mine. Gift giving season is here. With Mother’s Day, Father’s Day and graduations fast approaching, you might be looking for that WOW tech gift that combines fun and functionality. 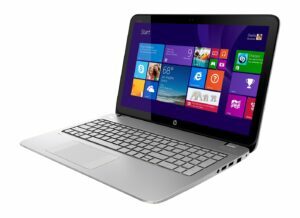 The new AMD FX APU – HP Envy Touchsmart Laptop from Best Buy provides extreme performance and is packed full of so many new features that you might have a hard time handing over the gift! The HP Envy TouchSmart 15.6” touch screen laptop makes multitasking a breeze so you can spend more time with your family! If you are like me, you are working in the evening while still trying to maintain human relationships. Are you a good multi-tasker? The Quick AMD FX series processor is great for daily tasks such as managing your personal life or streaming movies or videos and provides great video quality for gaming or catching up on your favorite youtube videos. The AMD FX Special Edition APU introduces mobile systems with AMD’s highest performing APUs, exclusive at Best Buy. When you are looking for a notebook, the AMD FX Special Edition APU will provide you with unbelievable performance, gaming and productivity. Plus, with the new FX APU powered notebook, be unbeatable and experience the processing power of 10 compute cores (4 CPU + 6 GPU)**! Best Buy Makes it Easy for You! Free Store Pickup – Pick up your order in as little as 45 minutes. 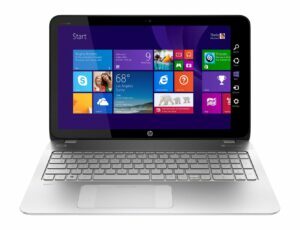 If you are looking to give or get a new laptop, the new AMD FX APU – HP Envy Touchsmart Laptop from Best Buy has it all!